TKS Movie Night is finally here again! As the summer break is coming close to the end for some of our TKS students, we would like to host a movie night for all TKS students (12 and under) and provide a night of freedom for the parents. The movie night will take place on Saturday, August 1st, from 5pm to 8pm. There will be plenty of pizza, snacks, drinks, fun activities, board games, prizes, and more along with the movie. Children may come dressed in pajamas or comfortable clothing and may also bring board games from home if they would like to. However, no phones, tablets, and/nor other electronic devices will be allowed. 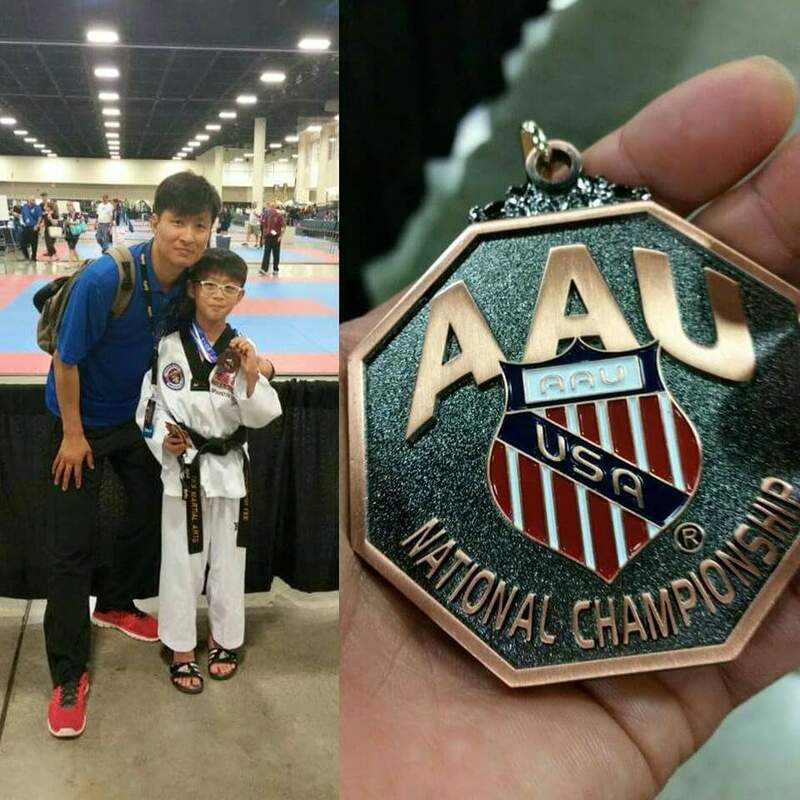 On the week of the 4th of July, 3 TKS Martial Arts students made the journey to Orlando, Florida, to compete in the AAU National Champhionship. 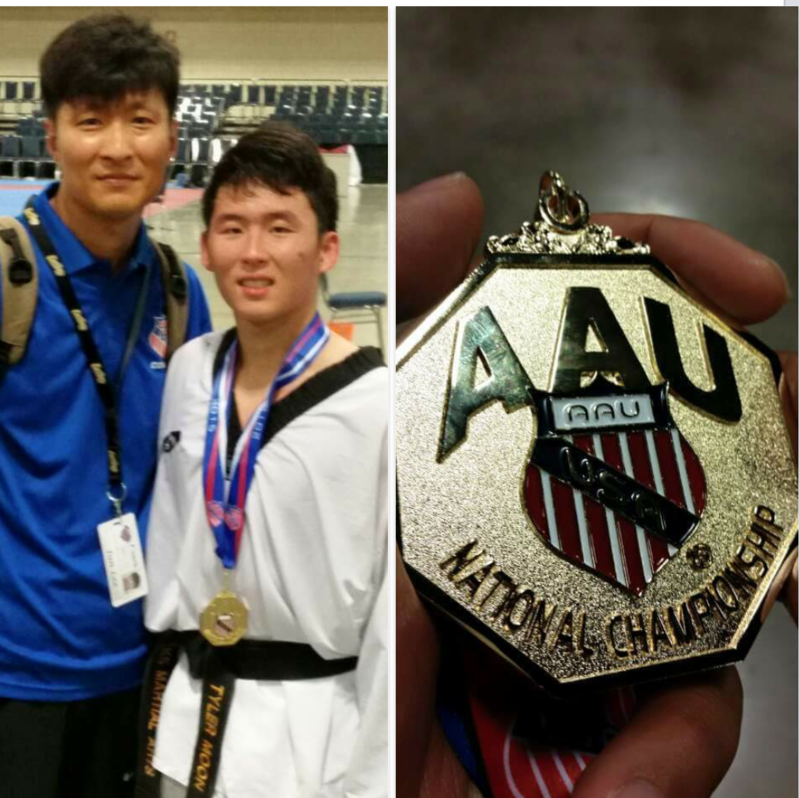 These 3 students qualified for this championship by competing in smaller qualifier championships in poomsae, sparring, or both, earlier this year. Of these 3 students, 2 won medals, gold and silver, in sparring and poomsae respectively. 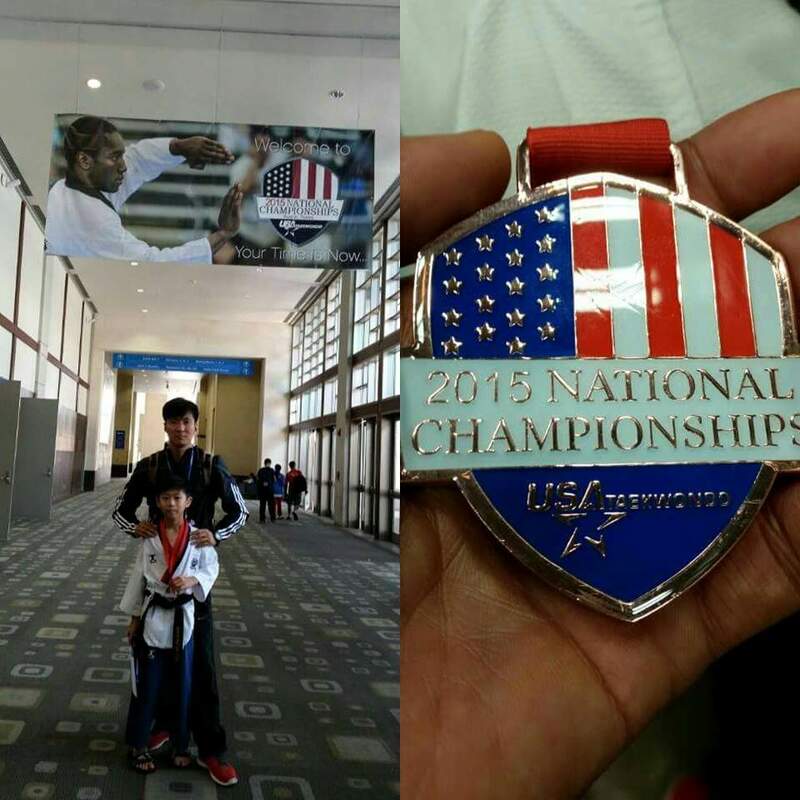 Immediately after the 4th of July, these 3 students traveled to Austin, Texas, where they were joined by 2 more students, to compete in 2015 USAT Junior Olympics National Championship. 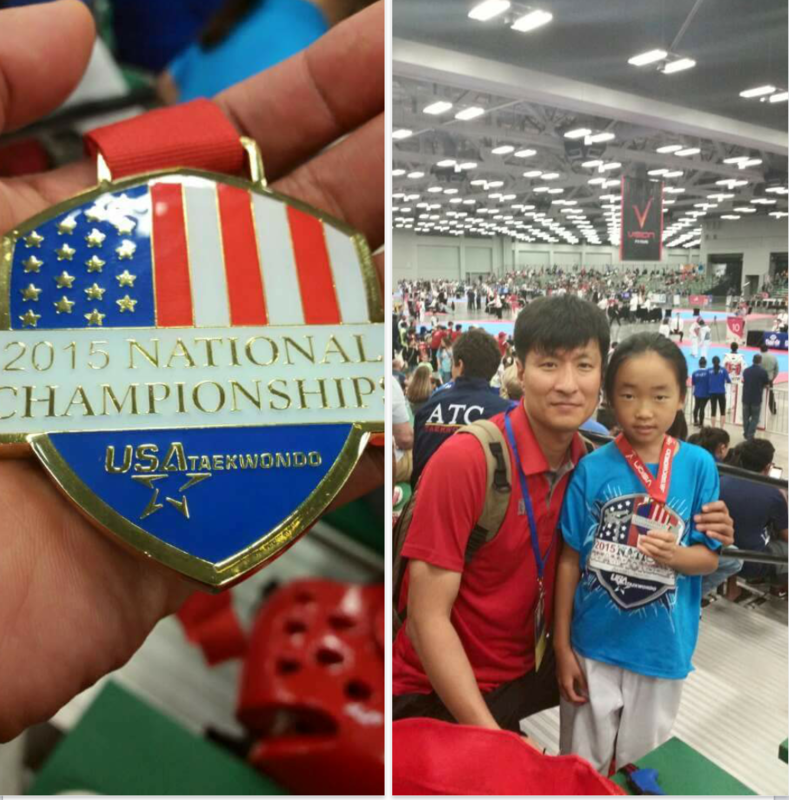 Of the 5 students present at the 2015 USAT Junior Olympics National Championship, 2 won medals, gold and bronze, in poomsae. We are extremely proud of our TKS competitors for not only winning medals, but also for their commitment during their hard and labourous training. We look forward to the next competition season, hoping to achieve much more.